The USA Today published an article about the FDA finally issuing rules on gluten labeling. I do believe that this is a much needed step the Celiac Community has been waiting for. This ruling finally adds legitimization to Celiac Disease and the serious effects it can cause. Now we have a true platform to jump off of to spread the word and continue our fight. I believe that 20ppm is a high average and the number should be closer to 5ppm, as well as, regulations for minimizing the cross contamination that can occur between manufacturer to shelves, but one step at a time. After years of waiting, the Food and Drug Administration released new rules Friday defining exactly what “gluten-free” on a food label means. The standardized definition will help the 3 million American who have celiac disease, along with millions more who follow a gluten-free diet for other reasons. Under the federal definition, which FDA has been working on since 2007, food that carries a “gluten-free” label must contain fewer than 20 parts per million of gluten. With the new rule, when consumers see “gluten-free” on a food label,” they can be assured that those claims have meaning,” said Michael Taylor, the FDA’s deputy commissioner for foods and veterinary medicine. The new label rules will be “fantastic,” said Andrea Levario, whose son has celiac disease. Right now when she shops, “if I pick up a product and it says ‘gluten-free’ I don’t know what that means because there’s no federal standard.” Levario is the executive director of the American Celiac Disease Alliance in Alexandria, Va.
Food packages will be required to conform to the new rules within one year, Taylor said. Congresswoman Nita Lowey, D-Westchester, who first began arguing for labeling standards in 1999, hailed the new rules. “I am pleased that our federal government has finally set clear, uniform standards that will rein in a fast-growing, unregulated market,” Lowey said. 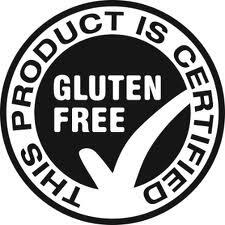 The Food Allergen Labeling and Consumer Protection Act of 2004 required that the FDA issue standards for the term “gluten-free.” It also required food packaging to clearly list whether they contained any of the top eight ingredients that cause allergic reactions. Those are milk, egg, peanuts, tree nuts, fish, crustacean shellfish, soy and wheat. That portion of the act went into effect in 2006. I was so happy to read this today. Now…let’s get them to start labeling GMO products! Right on for GMO labeling! This is wonderful Lets hope the label law demands accurate and trustworthy details! Thanks for this info Kirtsten!